Based on the design principles of the ARRIMAX, the new M18 is an innovative lamphead that works with a new power class of lamp: the 1800W SE HMI™. This lamp boasts 750 hours of average life and a Luminous Efficacy of 92 Lumens per Watt (L/W). The Color Rendering Index (Ra) is greater than 90 at 6000K (CCT). Now the “Brightest HMI you can plug into the wall,”* the M18 is a lensless, open face lighting fixture that combines the desired light distribution from the optics of a PAR and a Fresnel fixture. The unique ARRIMAX reflector design creates diverging rays to produce a crisp shadow. With a beam angle (HPA) of 20 to 60 degrees and a wide usable field angle, the M18 is designed to be both intense and efficient. When narrower beam angles are desired, ARRI offers the ARRISUN 18. The AS18 uses common ARRI spread lenses and a PAR reflector in combination with spot, medium and flood focus settings. Conversion kits are available to adapt an M18 to the AS18 (as well as an AS18 to a M18). The M18 and AS18 are designed to be highly versatile and meet better lighting efficiencies in a new performance class. Intense and efficient, these lights showcase convenient, cost-effective qualities in addition to the known characteristics and high standards of ARRI HMIs™. These new units also support a 1200W lamp. The distinctive power class of the M18 and AS18 has also necessitated the design of a new electronic ballast. 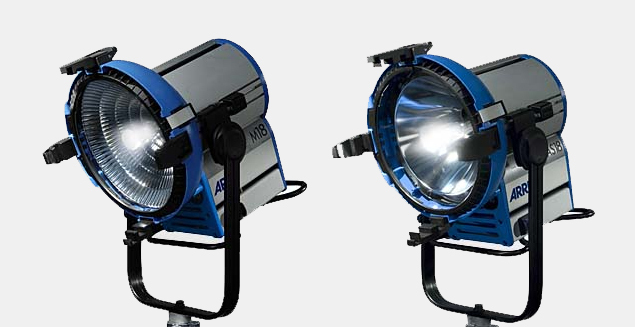 ARRI’s EB 1200/1800W incorporates CCL (Compensation of Line Losses) and the latest advancements in efficiency to supply proper power for these lamps. * “Into the wall” denotes a single, 20A 120VAC electrical outlet on a single circuit.